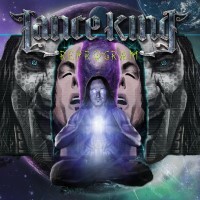 Lance King is a Renaissance man. He is the force behind such bands as AVIATOR, PYRAMAZE, BALANCE OF POWER, and is the owner of the record label Nightmare Records. Now he’s trying his hand at something new. Rather than merely creating his own music, he is trying to invent his own genre. It’s no small feat, especially in a style of music that has dozens. Celestial Metal is a genre that will focus on philosophical elements and lead the listener to think about their life and the society they live in. For me, there are already genres, in and out of Heavy Metal, that accomplish the same premise. How could this one be different? At first, I was distracted by so many older elements that I was disillusioned. However, given the ambition set by King, I decided to give the album a second listen, and while I still take some issues with it, it did not disappoint. The title track, “ReProgram”, is a powerhouse with soaring instrumentation and thoughtful lyrics. I do wish that he included more technological ambiance or softened the song, and introduced it later to unify the album’s overall sound and message, especially here. If you’re trying to show that the child in your song is oppressed by society and school, wouldn’t it get the point across further with the inclusion of a technological ambiance to show that? It’s still a good song, I just think that King could have gone further with its concept. There were songs and elements on the album that I adored. I enjoyed “Limitless”, especially how he matched the lyrical content with soaring instrumentals; that gave me hope listening to it. I also loved the piano ambiance and electronic nods in “Reaction Formation” and “Wide Open”. For the most part, I enjoyed the variety of drum beats and guitar solos in each song. I wish there were more of these elements throughout, especially the pleasantly surprising Jazz-sounding guitars near the end of “Technology”. Innovative, new sounds like that show me that this new genre has promise. My biggest sticking points were that the tracks had elements that were done to the point of a cliché in other works. For example, listening to the lyrics of “Chaotica”, I immediately began thinking of “Vicarious” by TOOL and how they did it better; they delivered the observation that news-addicted media is just there for the drama with more subtlety and didn’t beat the listener over the head with the message. However, I will say that I loved the instrumentation on “Chaotica” and its ambiance, along with every song after “Technology”; it has amazing background sound. The progressive ambiance on this track, and others, should have been implemented more to create a unique sound to cement this album as its own genre. I think as King develops his genre and gets a better grasp at how to fine-tune the conventions (especially as he grows as a lyricist) he will be a force to be reckoned with. I will be waiting for the third one, and I think it will be a masterpiece. Also, I would love to see more bands follow suit and give this genre a try. I think it would be a wonderful addition to Metal with some Post-Metal and New Age influences, and I will be sure to stay tuned for more bands giving the genre a shot.